A recent review of BROOKVILLE's supply chain revealed that 55% of its components were purchased locally in Pennsylvania, and every piece of equipment is built entirely in its BROOKVILLE, PA manufacturing facility. Throughout its 100th year of operations, BROOKVILLE developed a soft-cover print coffee-table style book to document its first century in business - including rarely-seen photos of its early gas and diesel-powered rail equipment and summaries of modern projects. You can view a PDF copy here or by clicking the image above. If you are interested in purchasing a copy for personal use, please email info@brookvillecorp.com. Originally founded in 1918, Brookville has a rich history. The company was established by a Ford dealer, Mr. L.A. Leathers, who started installing flanged railroad wheels on gasoline powered trucks and began Brookville Locomotive Works. The idea was to defer from the underdeveloped road systems and take advantage of the better maintained railways in the area. The company went into full-scale production of gasoline and diesel powered locomotives following World War I. During that time period they also produced a variety of specialty rail equipment including: school buses, speeder cars, refrigerated cargo haulers, flat cars, workman's cars, bullet-proof pay cars, and ambulances. The majority of the locomotives, at the time, were manufactured for logging, plantation, and industrial above ground applications. In 1942, Mr. P. Brosius Eisenman, having acquired the original business from Mr. Leathers, sold it to Mr. Joseph Horky, who moved the company to Pickering Street in what had been the Jenks Foundry Building. In 1974, the company was purchased and became Brookville Locomotive when Mr. Dalph S. McNeil joined the company as president. The Company constantly redesigned and adapted its machines with new technology to keep up with thriving industry needs. The old style, pressed-on wheels, have been changed to bolt-on wheels, and the inefficient shoe-type brakes have been replaced by liquid-cooled wet disc brakes. This resulted in longer life and reduced maintenance costs. Also, Brookville was the first company to introduce planetary drive axles on rail-mounted equipment, which was quite a significant modification from traditional chain and worm gearing. Other improvements such as V-spring rubber bonded suspension and power shift transmissions were made. With its developing rail and rubber tired mining products, the change in the name of the company to Brookville Mining Equipment Corporation seemed logical. Natural evolution into other markets, an expanded board of directors, the building and relocation to its new state-of-the-art facility on July 17, 1998, precipitated another name change to Brookville Equipment Corporation. The company has prevailed over many challenges, including the July 19, 1996 Brookville flood where over eight feet of water nearly drowned the company. With the help of the company's dedicated workforce and their family & friends who worked together to restore the facility to 100% production in just one month. This feat of resilience was adjudged the winner of the U.S. Small Business Administration’s “National Phoenix Award," in 1999, in recognition of the firm’s resilience in the aftermath of the flash floods. Brookville Team offers innovative options such as regenerative braking, solid state IGBT electronic control systems, dry-type exhaust management systems that meet regulatory requirements, and Rail/Walker™ Jack/Walker™ re-railing devices patented by Brookville and featured on some of Brookville's latest machines. Today, the company produces a full line of customized rail-mounted or rubber-tired haulage machines for underground mining, tunneling construction, industrial and switching applications, and mass transit applications. For the international market, Brookville has grown to emerge as a leading U.S. manufacturer of haulage equipment and has shipped machines to 80 countries throughout the world. Brookville's mass transit resume includes fully refurbishing streetcars for cities including New Orleans, Philadelphia, and San Francisco. 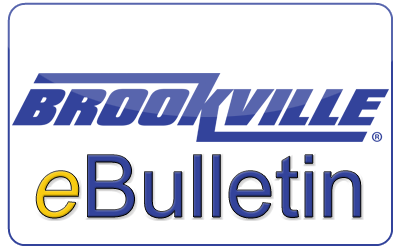 Brookville has maintained an outstanding reputation for manufacturing quality machines since 1918, and looks forward to continued success for generations to come. We will continue to incorporate advanced technology and processes into our machines, and lead the industry by producing the safest, most dependable, cost effective equipment for our customers worldwide.